Our startup hosting programme offers you, as a startup founder, a flexible and powerful platform with exceptional terms. When it comes to starting up a company, there are many aspects to consider. Looking for a partner to run the web application plays a key role here, as the requirements and demands of a growing company must be met at all times, both from a technical and commercial point of view. dynamically. Great! But are you concerned that your web application and related infrastructure cannot adequately cope with the changes that this entails? Given that requirements can change very rapidly, particularly in the early stages, you need a partner who is as dynamic as you are. That's why, with us, there are no setup fees for new instances during setup and operation, and thanks to our rapid response times, fast delivery of new instances and quick reaction times, you can react to changes at any time. When you are founding a company, there is a lot to think about at every stage. When it comes to running your web application, you want to be able to rely on experts who get the best results for you and who are on hand with help and advice. You would also like support with startup issues which go beyond the scope of your application. During setup and operation of your infrastructure, we advise you on the ideal setup and use of different technologies for maximum stability and performance. 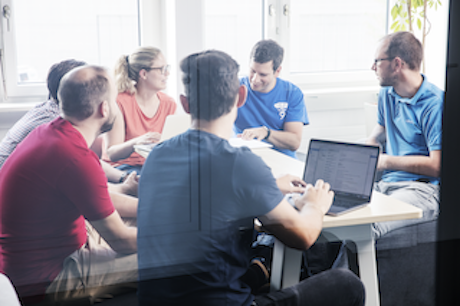 Our CEO, Philipp Koch, also offers coaching for issues which go beyond the operation of your web application. In order for your company to develop, money plays a role sooner or later. And particularly with regard to your application and the operation of it, you do not yet know how you will be able to meet your needs and requirements while remaining within your budget. We know all about these kinds of issues; nine also began as a very small company back in 2001. That's why we offer financial support for a period of 12 months, allowing you many new opportunities to develop. important aspects of the startup phase of your company? Then you have come to the right place: we not only take on the management of your instances - whether virtual, dedicated or cloud-based - we also offer easy scalability, extensive maintenance and 24/7 personal support from our experts. How do startup founders benefit with nine? For us it is important to offer support at the startup phase, as it takes a lot of courage and enthusiasm to start a company. That's why startup founders can only benefit from our startup hosting programme. There is a limited number of Startup-Scaleup packages available. nine decides whether or not to award a package after reviewing various criteria. The offer only applies to the Managed products from nine and the company reserves the right to modify this offer at any time. Would you like to find out more about the possibilities of a fully managed platform that allows you to focus all of your energy on developing your business?